Clinically, short bowel manifests itself as a high stomal output or diarrhoea, dehydration and malnutrition. High stomal output or diarrhoea do not, however, necessarily equate immediately to short bowel; conversely, a small bowel longer than 200cm may be insufficient if it is diseased. 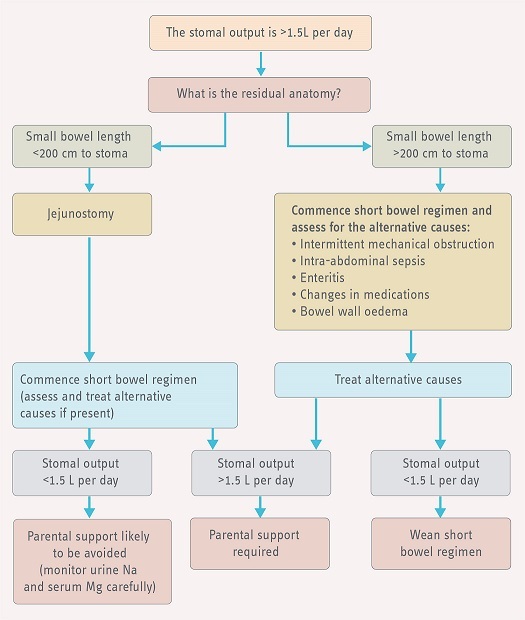 Here, we discuss some of the pitfalls that are encountered in the recognition and management of short bowel and have suggested an algorithm for assessing and managing patients with a high stomal output. Although some of these pitfalls may appear obvious, they are addressed here because they are commonly encountered in clinical practice (summarised in table 1 at the end of the article). When any small bowel stoma is formed at surgery it is often labelled an ileostomy. Small bowel length, however, is often not measured proximal to the stoma, and we recommend that it should be part of good surgical practice to measure the residual bowel length (unless it is deemed too difficult to perform intraoperatively). Measuring the resected amount of small bowel alone is not enough to predict the risk of short bowel developing, owing to the variability of normal small bowel length in humans. 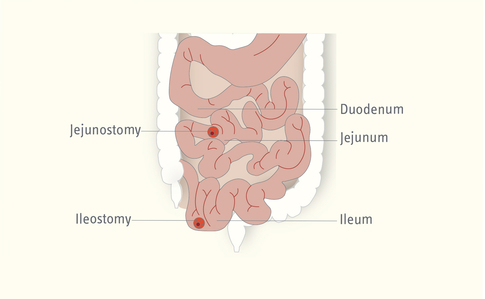 By definition, an ileostomy is when the ileum is brought through the abdominal wall in the form of a stoma, but if half to three quarters of the small bowel length is removed intraoperatively, it is likely that the patient actually has a jejunostomy. For patients who are undergoing repeated resections, the residual small bowel length proximal to the stoma should be measured and if it is <200 cm then the stoma is a jejunostomy. This distinction is important to make, because patients with a true ileostomy should not develop the problems associated with having a short bowel, but mislabelling a jejunostomy as an ileostomy may lead to a delay in the diagnosis of short bowel and early appropriate management. We suggest, from a practical standpoint, that if a patient has a small bowel length proximal to the stoma of <200 cm then this should be labelled as a jejunostomy. A high stomal output is defined as a stoma that produces more than 1.5 L per day.11 Although stomal output may be high due to a short bowel with a small intestinal length of <200 cm, it is important to recognise that there are other causes.10 It is also important to be aware that the stomal output must be considered in proportion to the intake. For example, 1.5 L per day is high stomal output for a patient drinking 500 ml per day, but it is not high for a patient who has an oral intake of 3 L per day. It is important to measure serum magnesium and random urine sodium concentrations in all patients who have a jejunostomy. Often just urea and creatinine concentrations are measured and they can be normal in patients with mild dehydration (see mistake 3). The magnesium concentration is often not measured and hypomagnesaemia can present as muscle cramps when levels are very low. Hypomagnesaemia can be detected early, prior to becoming symptomatic, and so prevented (see mistake 4). Our suggested algorithm for assessing and managing patients with high stomal output is shown in figure 1. Figure 1 | Suggested algorithm for assessing and managing high stomal output. Dehydration in patients with short bowel occurs if stomal output is greater than 1.5 L per day.10 It is a common misconception that if a patient has normal blood parameters of renal function, including urea and creatinine levels, this excludes dehydration. These values are often affected by the fact that patients may be sarcopenic and their creatinine and urea levels may be below the normal range. As a result, when the creatinine concentration is above the normal range, this indicates that there is significant renal impairment. 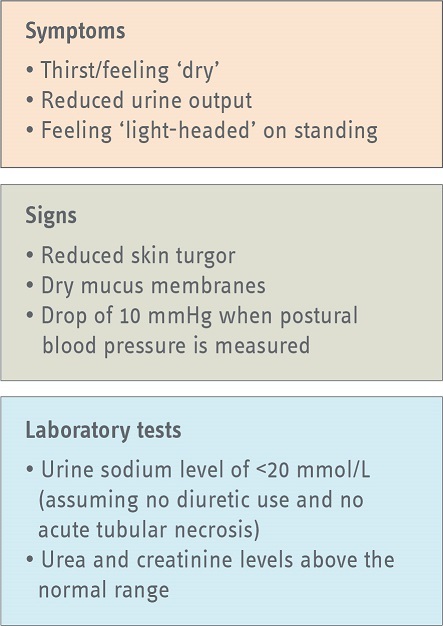 We would suggest that a combination of several parameters—symptoms, signs and laboratory test results—be used to assess a patient for dehydration (figure 2). Figure 2 | Parameters that can be used to assess for dehydration. Patients with short bowel are often magnesium deplete.11 This depletion occurs due to a reduction of its absorption and an increase in its renal excretion due to hyperaldosteronism. Frequently, the only symptom that patients manifest is cramps12, but other symptoms, including coarse tremor, poor concentration, seizures and arrhythmias, have been reported.13 Hypomagnesaemia can sometimes be corrected with oral magnesium salts (up to 24 mmol of magnesium per day14–16); however, these salts can be poorly absorbed and occasionally intravenous or subcutaneous replacement is needed. Another important point to remember is that the proton pump inhibitors (PPIs) used as part of the small bowel regimen are often associated with hypomagnesaemia. A trial of an H2 antagonist (e.g. ranitidine), as a PPI substitute, should be considered prior to the administration of intravenous or subcutaneous magnesium. The fluid secretions of the proximal small bowel total more than 4 L,18 and the majority of this fluid is absorbed in the distal small bowel and colon. In short bowel, the absence of the absorptive distal bowel results in patients being in a secretory state. Hypotonic fluid or solutions with a sodium content of <90 mmol/L lead to a net secretion of sodium and water into the proximal small bowel lumen, which leads to sodium and water depletion.19 This depletion manifests itself clinically as significant thirst. The belief, therefore, that drinking more will lead to increased water absorption is incorrect. This concept is difficult for patients to accept as it is only natural to want to drink more when thirsty. 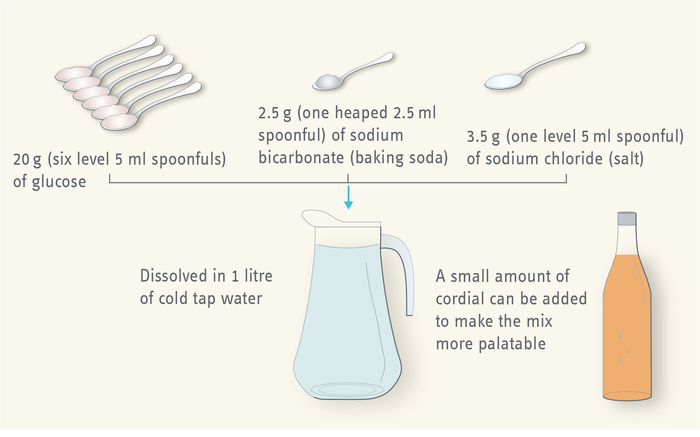 The correct management of sodium and water depletion and the accompanying thirst is to drink less and to drink an electrolyte mix with a sodium concentration of ≥90 mmol/L. Patients should restrict the amount of hypotonic and commercial isotonic fluids that they drink to less than 1 L per day. This includes all beverages—tea, coffee, juices, “isotonic” sports drinks and alcoholic beverages etc. Patients should drink 1 L per day of a glucose/saline solution with a sodium content of >90 mmol/L.20–22 Examples include an electrolyte mix (e.g. St Mark’s electrolyte mix [figure 3]) or other commercial preparations. It is important for the clinician to remember that the palatability of these solutions is a significant issue. To try and overcome this, patients should add concentrated flavourings (e.g. neat fruit-flavoured cordials) when making up the solution. Pre-constituted glucose/saline solution should not be further diluted as this renders the electrolyte mix less effective. Patients should be advised to add salt to their meals to the limits of palatability. If the stomal output is >5 L/24 h and the above measures have not worked, patients should consider a period of 24–48 h of “nil-by-mouth”. Figure 3 | St Mark’s electrolyte mix. As already mentioned, short bowel is characterised by a high stomal output. To reduce the loss of water, electrolytes, minerals and nutrition, a short bowel regimen can be effective. This regimen comprises restricting oral hypotonic fluids to <1 L per day, drinking ≥1 L of a glucose/saline solution per day, taking antimotility agents before food, taking antisecretory medications, involving a dietitian to give tailored dietary advice, and separating food and fluid at mealtimes. In terms of antimotility agents, loperamide is an opioid receptor agonist23,24 that is not readily absorbed from the bowel and, thereby, has no addictive or sedative side effects, and in this regard should be considered the first-line treatment.16 Higher than standard dosages of loperamide are often required as transit through the small bowel in patients with short bowel is often very rapid. These dosages are up to 24 mg four times a day.15,16,24,25 Loperamide capsules can be opened if they are found to pass into the effluent unchanged. Of note, there has been a safety warning regarding ECG abnormalities and mortality with very-high-dose loperamide in patients taking it for nonlicenced usages.26,27 We therefore suggest that it would be prudent to check an ECG and measure the QT interval in all patients who require regular loperamide. Codeine (30–60 mg four times a day) can be used for a similar effect to loperamide,15,25 but should be considered as a second-line treatment, ideally in combination with loperamide. This preference is due to the systemic side effects of codeine, which include drowsiness and dependence. Other management options such as intestinal lengthening, transplantation and growth factors (e.g. Teduglutide®) may be considered in patients who are atable, in a tertiary setting, but the focus is always ensuring that patients are on an optimal short bowel regimen. Elemental diets are high osmolality feeds that contain very little sodium, thus increasing stomal water and sodium losses, they also have low caloric content, compared with polymeric diets. Large volumes of an elemental diet also need to be consumed to meet the nutritional requirements of the patient, which will also increase stomal output. Patients with short bowel are well known to have a significantly lower quality of life compared with the general population.32 This reduction in quality of life occurs as a consequence of both the physical and psychological aspects of the condition. It is important to understand and, where possible, to provide appropriate multidisciplinary support for patients. Stoma management, dietetic input and psychological input should always be covered as part of patient management, but patients’ needs should be addressed on an individual basis. Patients with short bowel often have a high stomal output, which can lead to problems with bursting and leakage of the stoma bags and associated skin irritation. This is most problematic at night when sleep may be interrupted multiple times for the stoma bag to be emptied. These issues can affect a patient’s confidence and ability to socialise and travel. We recommend early input from stoma care nurses and consideration of commercially available overnight flow collectors to help acheive an uninterrupted night’s sleep.33 Care should be taken to ensure that the collectors are at least 2 L in volume, and ancillaries are from the same manufacturer as the flow collectors to avoid incompatibility issues that may lead to leakage. Early input from a dietitian and regular nutritional assessment is essential for patients with short bowel. The role of the dietitian is twofold–to support and advise the patients on the dietary modifications required as part of the short bowel regimen and to recognise malnutrition. Being able to recognise malnutrition is particularly important in patients who are overweight or obese prior to developing short bowel. In these patients, malnutrition may not be recognised early as their weight and BMI remains within the normal range despite losing a significant quantity of muscle mass. Finally, don't forget that if patients with a high stomal output miss or stop treatment for one day, they risk sodium and water depletion and hospital management may be required. Mughal M and Irving M. Home parenteral nutrition in the United Kingdom and Ireland. Lancet 1986; 328: 383–387. Bakker H, et al. Home parenteral nutrition in adults: a European multicentre survey in 1997. ESPEN-Home Artificial Nutrition Working Group. Clin Nutr 1999; 18: 135–140. Gondolesi GE. Intestinal transplantation outcomes. Mt Sinai J Med 2012; 79: 246–255. Ahrens EH Jr, Blankenhorn DH and Hirsch J. Measurement of the human intestinal length in vivo and some causes of variation. Gastroenterology 1956; 31: 274–284. Nightingale JM and Lennard-Jones JE. The short bowel syndrome: what’s new and old? Dig Dis 1993; 11: 12–31. Underhill BM. Intestinal length in man. Br Med J 1955; 2: 1243–1246. NICE. Clinical guideline [CG174]: Intravenous fluid therapy in adults in hospital. https://www.nice.org.uk/guidance/cg174/chapter/1-Recommendations#routine-maintenance-2. (December 2013, updated May 2017, accessed 13 February 2018). Gabe SM. Small intestine. In: Standring S (ed.) Gray’s Anatomy : The anatomical basis of clinical practice. 41st ed. Elsevier Ltd, 2016, pp.1124–1129. Baker ML, Williams RN and Nightingale JMD. 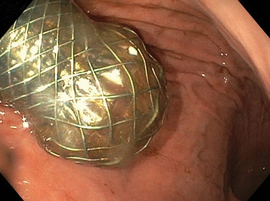 Causes and management of a high-output stoma. Colorectal Dis 2011; 13: 191–197. Gabe SM, et al. OP033 The management of patients with high output enterocutaneous fistulae: A European survey. In: Abstracts of the 34th ESPEN Congress; 8–11 September 2012; Barcelona, Spain. Clin Nutr Suppl 2012; 7: 14–15. Vallee BL, Wacker WE and Ulmer DD. The magnesium-deficiency tetany syndrome in man. N Engl J Med 1960; 262: 155–161. Yu ASL and Yarlagadda SG. Clinical manifestations of magnesium depletion. UpToDate Inc. https://www.uptodate.com/contents/clinical-manifestations-of-magnesium-depletion. (accessed 13 February 2018). Staun M, et al. ESPEN guidelines on parenteral nutrition: home parenteral nutrition (HPN) in adult patients. Clin Nutr 2009; 28: 467–479. Nightingale J, et al. Guidelines for management of patients with a short bowel. Gut 2006; 55 (Suppl 4): iv1–iv12. Pironi L, et al. ESPEN guidelines on chronic intestinal failure in adults. Clin Nutr 2016; 35: 247–307. American Medical Association. 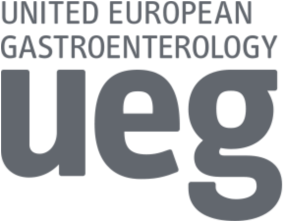 Guidelines for essential trace element preparations for parenteral use: A statement by the Nutrition Advisory Group. J Parenter Enter Nutr 1979; 3: 263–267. Nightingale JM, et al. Jejunal efflux in short bowel syndrome. Lancet 1990; 336: 765–768. Newton CR, et al. Incidence and treatment of sodium depletion in ileostomists. Scand J Gastroenterol Suppl 1982; 74: 159–160. Newton CR, et al. Effect of different drinks on fluid and electrolyte losses from a jejunostomy. J R Soc Med 1985; 78: 27–34. Lennard-Jones JE. Oral rehydration solutions in short bowel syndrome. Clin Ther 1990; 12 (Suppl A): 129–137 and 138. Nightingale JM, et al. Oral salt supplements to compensate for jejunostomy losses: comparison of sodium chloride capsules, glucose electrolyte solution, and glucose polymer electrolyte solution. Gut 1992; 33: 759–761. Awouters F, Niemegeers CJE and Janssen PAJ. Pharmacology of antidiarrheal drugs. Annu Rev Pharmacol Toxicol 1983; 23: 279–301. Remington M, Fleming CR and Malagelada JR. Inhibition of postprandial pancreatic and biliary secretion by loperamide in patients with short bowel syndrome. Gut 1982; 23: 98–101. Lennard-Jones JE. 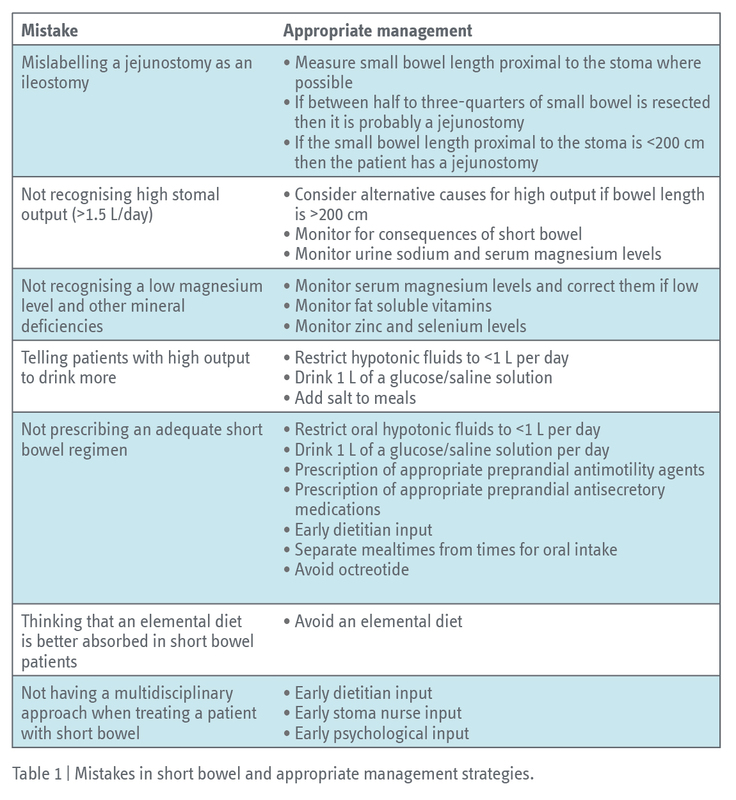 Review article: practical management of the short bowel. Aliment Pharmacol Ther 1994; 8: 563–577. European Medicines Agency Pharmacovigilance Risk Assessment Committee (PRAC). PRAC recommendations on signals. http://www.ema.europa.eu/docs/en_GB/document_library/PRAC_recommendation_on_signal/2017/03/WC500223722.pdf. (23 March 2017, accessed 20 October 2017). FDA Drug Safety Communication: FDA Drug Safety Communication: FDA limits packaging for anti-diarrhea medicine Loperamide (Imodium) to encourage safe use. https://www.fda.gov/Drugs/DrugSafety/ucm594232.htm. (30 January 2018, accessed 15 February 2018). Nightingale JM, et al. Effect of omeprazole on intestinal output in the short bowel syndrome. Aliment Pharmacol Ther 1991; 5: 405–412. Nightingale JM, et al. Octreotide (a somatostatin analogue) improves the quality of life in some patients with a short intestine. Aliment Pharmacol Ther 1989; 3: 367–373. Farthing MJ. Octreotide in dumping and short bowel syndromes. Digestion 1993; 54 (Suppl 1): 47–52. McIntyre P and Fitchew M L-JJ. Patients with a high jejunostomy do not need a special diet. Gastroenterology 1986; 91: 25–33. Carlsson E, Bosaeus I and Nordgren S. Quality of life and concerns in patients with short bowel syndrome. Clin Nutr 2003; 22: 445–452. Slater R. High-output stomas: challenges with a large laparostomy wound. Br J Nurs 2012; 21 (Suppl 6): S28–S33. Winkler MF and Smith CE. Clinical, social, and economic impacts of home parenteral nutrition dependence in short bowel syndrome. J Parenter Enter Nutr 2014; 38 (Suppl 1): 32S–37S. © UEG 2018 Oke, Nightingale and Gabe. Cite this article as: Oke SM, Nightingale JM and Gabe SN. Mistakes in short bowel and how to avoid them. UEG Education 2018: 7–11. Siddhartha M. Oke and Simon M. Gabe are at St Mark’s Hospital, Harrow, United Kingdom and the Department of Surgery and Cancer, Imperial College, London, United Kingdom. Jeremy M. Nightingale is at St Mark’s Hospital, Harrow, United Kingdom. Conflict of interest: The authors declare there are no conflicts of interest. Siddhartha Oke is a gastroenterology registrar and research fellow in intestinal failure at Imperial College London, UK. He is a trainee representative for the Gastroenterology section of the Royal Society of Medicine. Simon Gabe is President of BAPEN and Consultant Gastroenterologist at St Mark's Hospital, London, UK. He chairs the nationally recognised intestinal failure service at St Mark’s, one of two centres in the UK currently funded to provide this service. His academic and research interests include nutrition, home parenteral nutrition, intestinal transplantation and intestinal tissue engineering. He cofounded the National Adult Small Intestinal Transplant Forum together with Addenbrooke’s Hospital. Jeremy Nightingale is an Honorary Consultant Gastroenterologist, St Mark’s Hospital, London, UK, Chairman of the British Intestinal Failure Alliance (BIFA) and Co-Chairman of the Nightingale Trust for Nutritional Support. He is President of the St Mark’s Association and Vice President of Coloproctology section of Royal Society of Medicine. His main interests are in intestinal failure and inflammatory bowel disease. “Best clinical practice for patients with chronic intestinal failure” session at 25th UEG Week 2017. “Drug treatment in short bowel syndrome” presentation at UEG Week 2014. “Short bowel syndrome: Medical and nutritional management” presentation at UEG Week 2012. “Nutrition in IBD and other GI disorders” session at UEG Week 2012. Pironi L, et al. ESPEN guidelines on chronic intestinal failure in adults. 2016. Clin Nutr 2016; 35: 247–307.